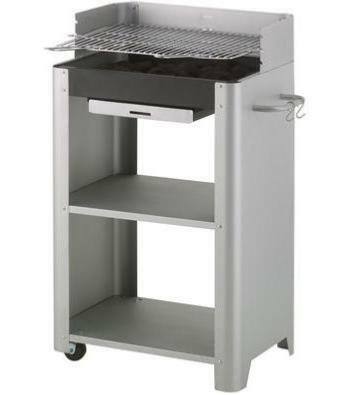 Trolley BBQ with wheels & two storage shelves. Large chrome grill cooking area with three variable heights. Modern looking and simple design. Will look great on any patio.